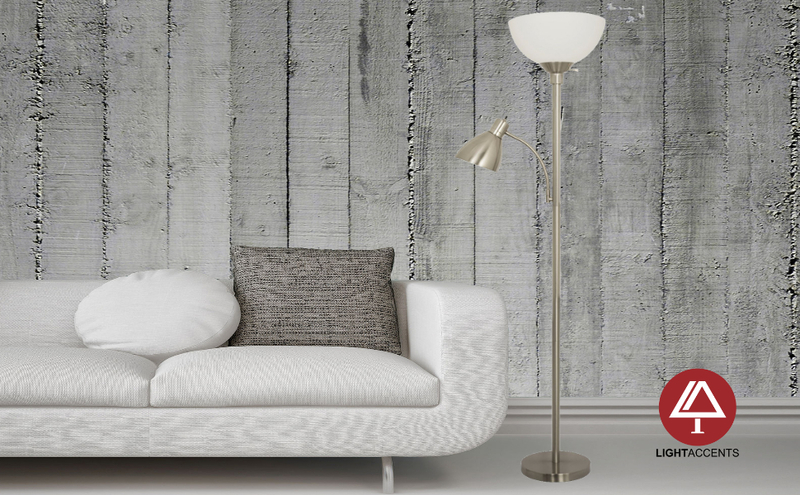 A fresh fusion of functionality and cool contemporary style, this incandescent torchiere floor lamp by Home Design Lighting adds a dependable dose of effective lighting to small- or medium-size rooms. Place it in the corner of a living room for mood light, next to a tall bookshelf to help showcase a collection, or even in a three-season porch or bedroom for additional light as needed. 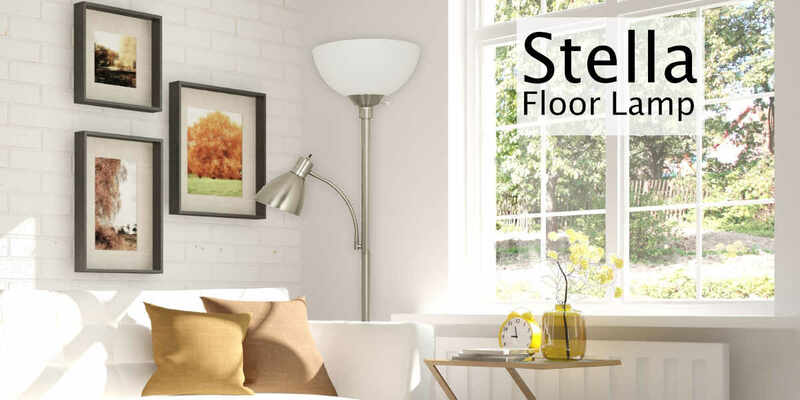 Standing just over 71 inches tall, the sturdy floor lamp features a sleek black-painted finish and a gently curved white-frosted plastic shade, which nicely accommodates almost any decor. Even more, the floor lamp's round-shaped base and heavier stand helps ensure stability. If it does get bumped into or tipped over accidentally by rambunctious kids, the lamp's plastic shade promises not to shatter like glass versions. 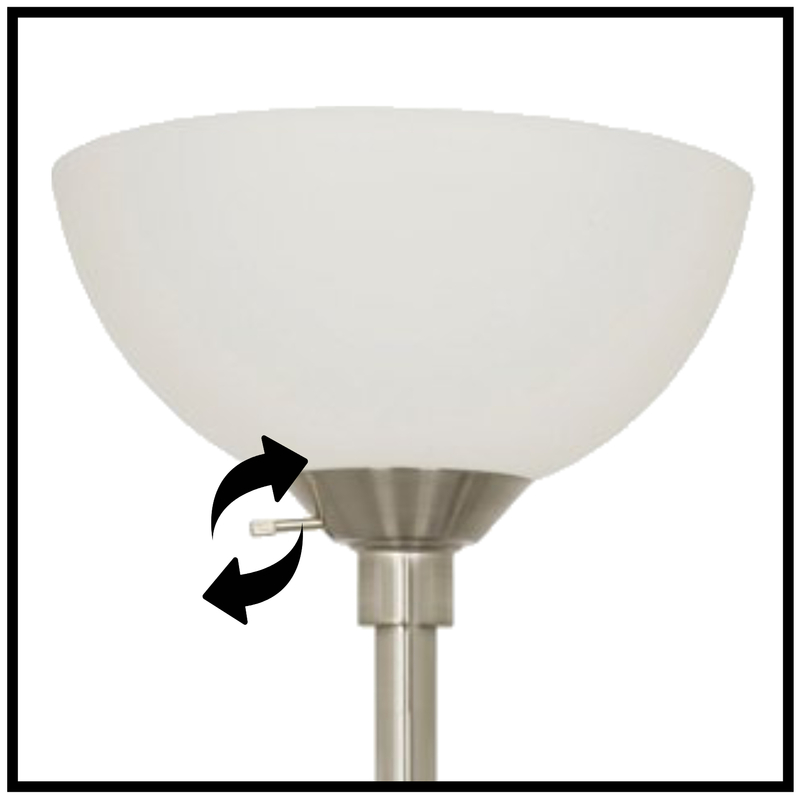 The floor lamp does require some quick easy assembly, but it only takes a few minutes--the hardest part is deciding which room the lamp will go in. More than one of these handy floor lamps might be the answer. 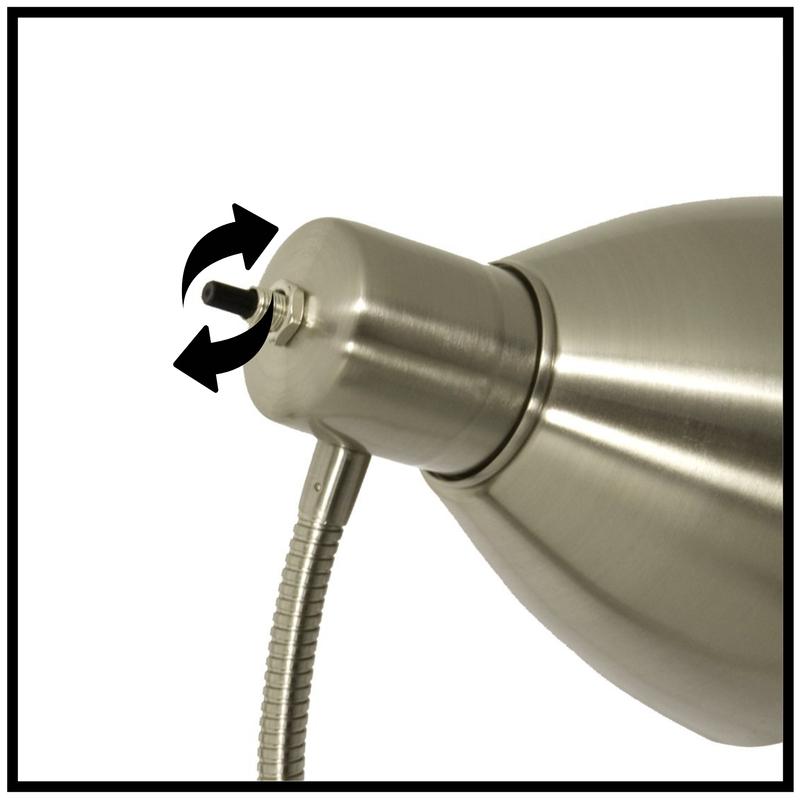 The torchiere lamp uses (1) type A bulb up to 150-watt or CFL equivalent and has its own rotary on-off switch. The flexible reading lamp uses (1) type A bulb up to 60W or CFL equivalent , and it's own rotary on-off switch is easy to reach. Fully assembled, the floor lamp measures 11.75 inches long by 11.75 inches wide by 71.25 inches tall. 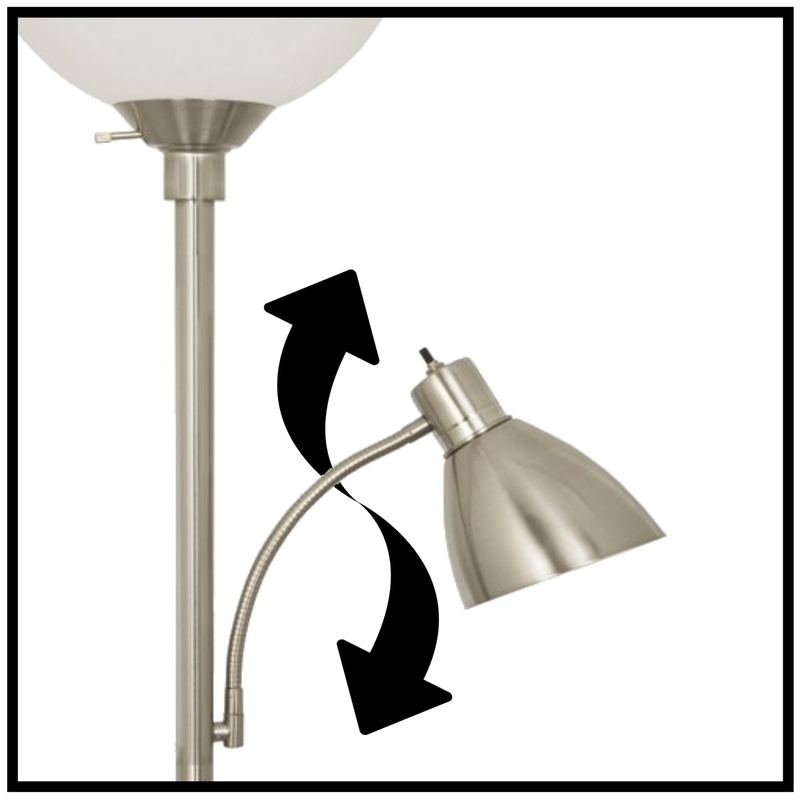 Great lamp for reading with flexible arm to adjust direction of light.